This is a collectible bust figure of Jyn Erso from Star Wars: Rogue One. The finely sculpted figure has amazing details and looks like actress Felicity Jones. 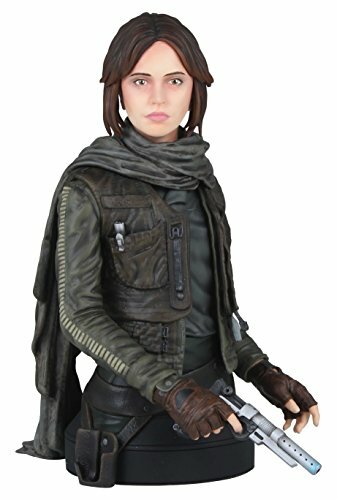 This Star Wars character bust figure features Jyn Erso in an action pose. She wears her familiar dark layered outfit and carries a blaster weapon. The figure is done in 1:6 scale and is a limited edition piece. 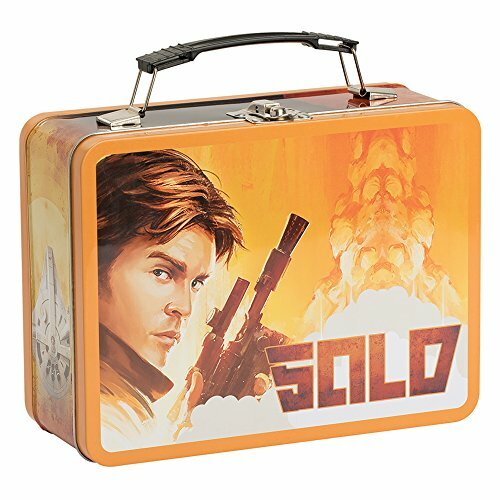 This is an old-school style metal lunchbox featuring Han Solo as played by Alden Ehrenreich in Solo: A Star Wars Story from 2018. The lunchbox has a color design with embossed characters: Han on one side and Chewbacca on the other side. The Millennium Falcon can be found on the side. This is a metal-latch lunch box with a collapsible plastic handle. Use for toting lunch or keeping Star Wars collectibles handy. 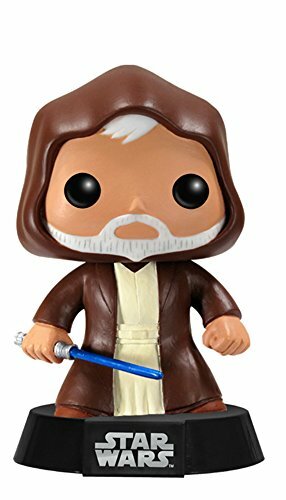 This is a Funko Pop figure of Obi-Wan Kenobi as an old man, as seen in the original trilogy and played by Alec Guinness. The bobble head character has the same cute features typical of Funko Pop action figures. This figure of Obi-Wan measures about 3.75" tall. Obi-Wan wears a brown Jedi robe and carries a blue lightsaber. This figure is Star Wars #10. Popular droid K-2SO from Rogue One is featured in fun Funko Pop bobblehead form. 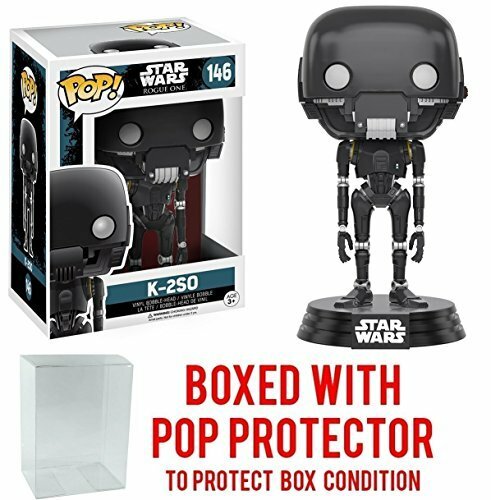 The lanky dark droid is Star Wars #146 and comes bundled with a box protector case. Get this collectible Star Wars: Rogue One figure for your collection. This new figure comes with an acid-free protector box for safe and clear display. 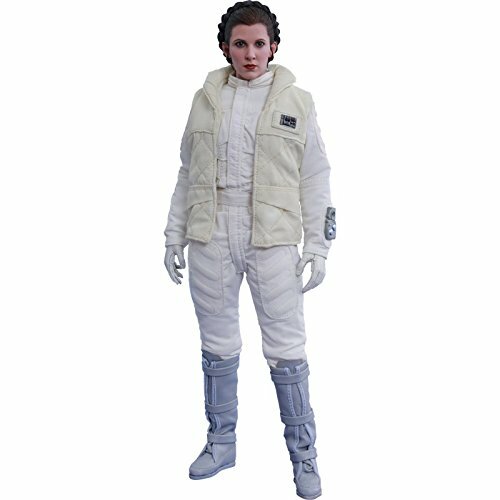 This fun figure of Princess Leia features the character in her white Hoth outfit. This is a collectible figure that measures about 7" tall. This is a high quality Star Wars action figure that gets high marks for its true to life detail. The hair and features match Carrie Fisher as Leia as seen on the planet Hoth in The Empire Strikes Back. Get this Hot Toys action figure for your Star Wars collection!